Whether it's corners, walls which are unsuitable for wall mounts, space-saving considerations, or for aesthetic reasons, sometimes a ceiling mount just makes sense. 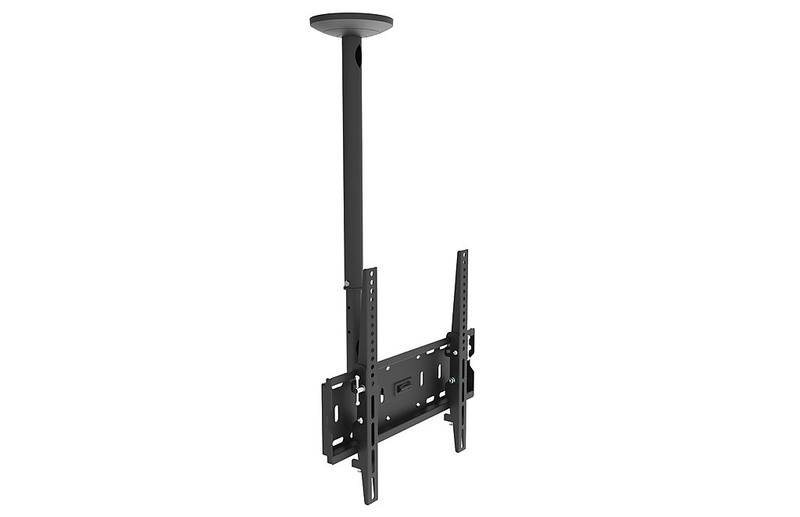 Perfect for the home, the office, restaurants, bars, waiting areas, hotels and more, the 32"- 55" LCD Plasma TV Ceiling Mount features straightforward installation and versatile presentation options for all tv types. The mount is almost as impressive as the TV itself! 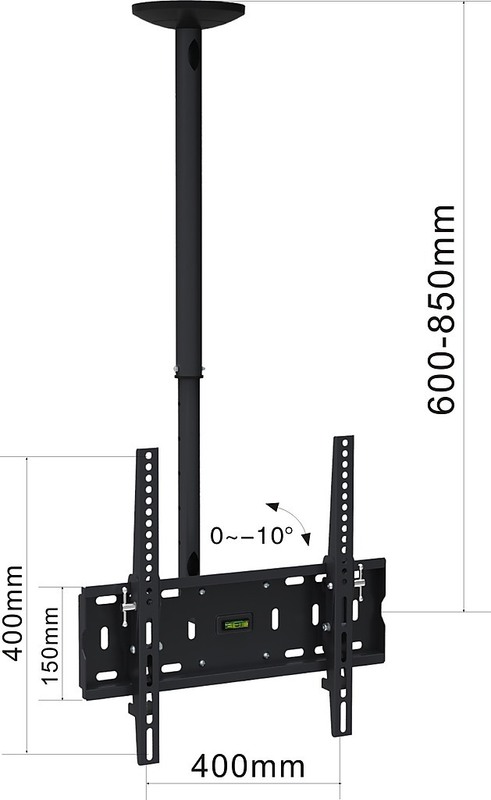 This strong metal ceiling mount in black is intended for LCD and Plasma TVs ranging in size from 32" to 55", with a maximum weight capacity of 40kg. Customisation is the name of the game when it comes to this mount. 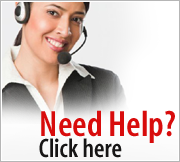 Height is fully adjustable from 600mm to 850mm. And the bracket can also tilt forward at up to 10 degrees for the optimal viewing angle for your setup with the additional feature of 90 swivel in both directions. 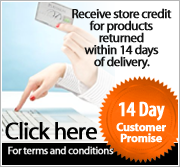 Common hardware and fixings are included for most installations and televisions, and easy-to-follow installation instructions also come with your purchase. 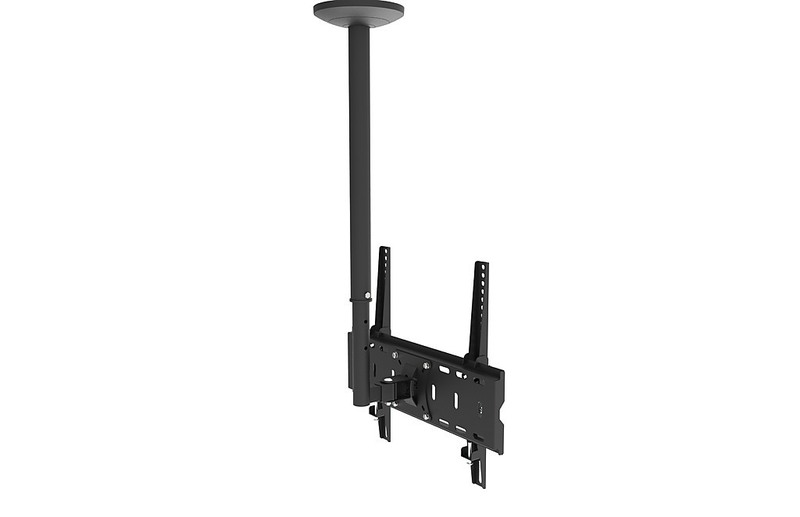 For a ceiling mount you can depend on at a price you can afford, order the 32" - 55" LCD Plasma TV Ceiling Mount today. 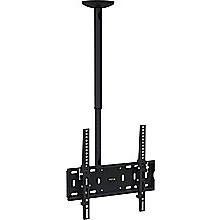 Versatile ceiling mount for LCD and Plasma TVs from 32" - 55"
Slim Plasma/LED/LCD TV Mount — 30-60" (76-152cm) Our Slim Plasma/LED/LCD TV Mount is the smart way to mount your plasma, LED or LCD flatscreen television to the wall. 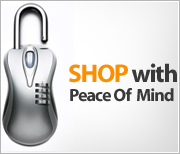 And with plenty of intelligent features and a FREE included HDMI cable, you're assured of making the right purchase. This sturd..